The tent, where the incident happened, is located at Sector 13. No injuries or casualties were reported. 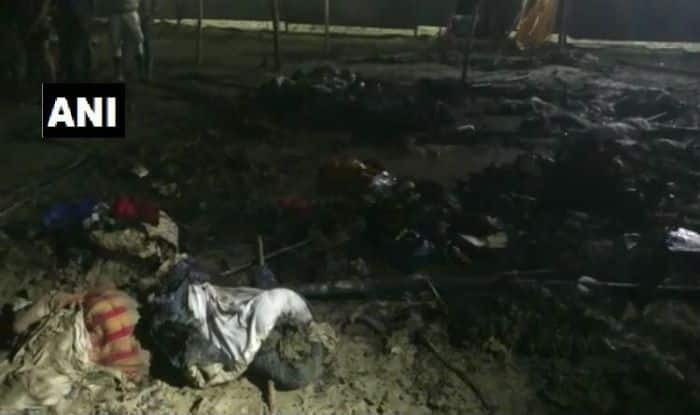 Prayagraj: A fire broke out in a tent at Kumbh Mela 2019 in Prayagraj district of Uttar Pradesh on Saturday. However, it was doused subsequently, claimed news agency ANI. The cause of fire has not been ascertained as of yet. A similar incident was reported one day before the onset of Kumbh. On January 14, a cylinder exploded in a tent at the Digambar Ani Akhara, triggering a massive fire. The fire fighters were rushed to control the blaze immediately. There were no immediate reports of any one being injured. Lakhs of people took a dip to mark the beginning of the Kumbh Mela on January 15 amid the chants of ‘Har Har Gange’. More than 12 crore people are expected to visit the 50-day Kumbh, from the day it began till its conclusion on Maha Shivratri which falls on March 4. It is traditionally called ‘Ardh Kumbh’ as it takes place twice in 12 years. But the present Uttar Pradesh government recently renamed it ‘Kumbh’. The Yogi Adityanath-led government has allocated Rs 4,200 crore for the Kumbh Mela, which is more than thrice the budget of the Maha Kumbh in 2013, making the mega pilgrimage perhaps the costliest ever.